To qualify what I am about to write, I am by no means anything more than an eclectic listener who has limited knowledge of the mechanics of audio reproduction. 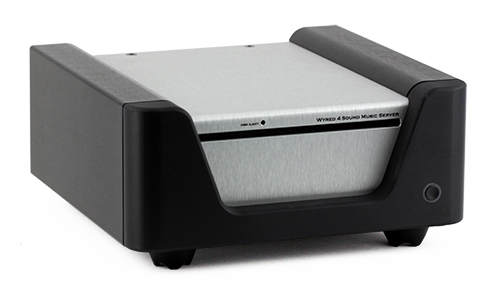 I have never written a review in my life but I felt compelled to do so because of the experience I have had with Wyred 4 Sound over these last few years.I have traded gear with many vendors for quite a while searching for that "sonic nirvana". I have had high end Audio Research tube amps and preamps as well as relatively high end cd transports. I have changed gear in and out connecting and reconnecting looking for that "sound". By the way as I get older changing components in and out becomes more of a challenge that a joy like it use to. If this resonates with any of you read what I have learned. I wish someone had told me this and saved me much frustration and years of delay in what I was searching for. I replaced my ARC Ref 210's with W4S SX1000 mono blocks and added the W4S-DAC 2SE (with upgrade). At this time my source was an AYRE CX7emp Evolution. There was a noticeable improvement but I kept looking for more. My next step up was the W4S STP-SE-2 preamp to replace the ARC LS17. The ARC LS17 is now for sale! WOW the improvement was wonderful. It was the difference in a muted trumpet and a non muted trumpet. About a year or so later I had the bug again and at EJ's recommendation I finally went for the W4S MS-2 server with the SSD upgrade. I had been fighting it for a long time but I can tell you that when I put that baby in the chain the EXCITEMENT happened finally. Everything old was new again! The detail and clarity of my music was something never before experienced my these ears. In closing I must honestly say that I have never dealt with a better group of folks. Their support after the sale is second to none. They actually make it their business to make your music sound better. Hats off to EJ Sarmento and his staff.